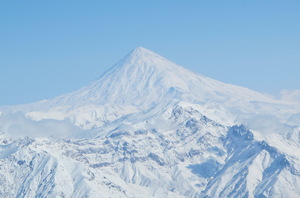 Сейчас идет снег в Mount Damavand ?Thank you! 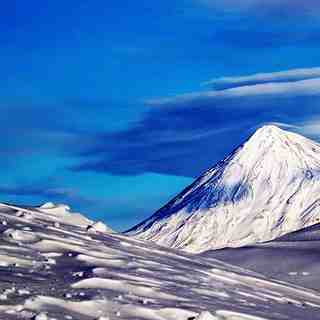 Mount Damavand in Iran (Islamic Republic of) is a small ski resort with no ski lifts but it does boast a very impressive 1524 metres (5000 feet) of vertical descent. The closest airport is at Tehran (Mehrabad Airport) and the transfer time is only 1 hours. 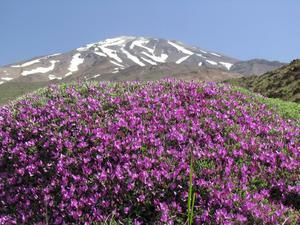 The nearest train station to Mount Damavand is at Tehran. The area has a famous climbing path & shelters: 1-South Ridge: 3rd Shelter (200 persons), 2-West Ridge: Simorq Shelter (40 persons), 3-North-East Ridge:Takhteh Fereidoun Shelter (30 persons), 4-North Ridge: 4000 & 5000 Shelters (15 persons each one), * In summer (high season of climbing) it is hard to find empty place in shelters and taking a tent is recommended. ** shelters have only few wooden beds (north has nothing) and no more facilities. There are 2 camps for arrival date in Reineh (close to south) and Polour (close to west) and also you can rent local suites in Reineh city. * Hot spa is very close to Reineh city. **Iran Mountaineering Federation agent charges foreign climbers in base camps (about 50US$). 1- This period of time is proper for off-piste skiing (there is no formal piste). 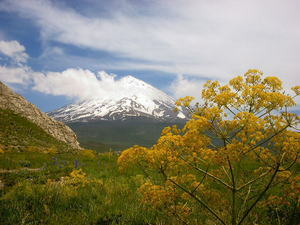 2- Best season for Damavand Mt. Climbing : 1st-July to 15th-September. Before and after this period of time, you may need professional equipment (snow boot, crampon & ...). * In case of not enough acclimatization, be careful of high altitude diseases! 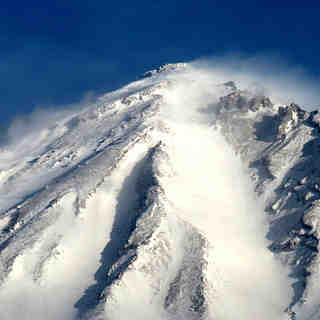 I have climbed to Damavand summit from all four main routes but I prescribed for mountaineers that they want to climb for the first time to any route they must have a coach or a very experienced man in his / her team and have accommodated with physical readiness then start to climbing as example 'the eastern route' have the most climbing distance and also in foggy climates the most danger is to be thrown off to 'Yakhar valley'. 'The northern route' program it is better to reach '5000 Shelter'. The end shelter in the first time and have enough water and also have crampon for transferring the glassier. The western route has the most slope and danger of throwing rocks and needs the most physical readiness at the end. 'The southern route' has the most visitors/climbers so it needs preparations to reserve a bed via net.